Ideal for those who want to minimize wrinkles, lift skin and reveal radiance. Before beginning treatment, it is recommended to stop using any product containing retinoic acid or other strong acids. Postpone beginning the treatment if skin is hypersensitive due to sun exposure or is irritated. Cleanse and tone skin. Gently massage 14 pumps of product on face, neck and decollete. Leave on for 15 minutes and remove with facial sponges moistened with warm water. Follow by gently massaging the skin-appropriate serum, cream and eye cream. 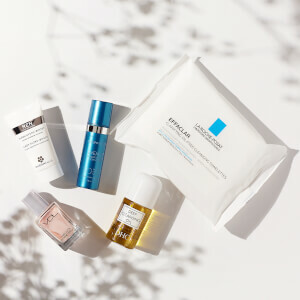 Finish your beauty regime by applying a sun protector. 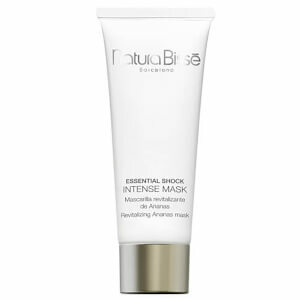 50% exculsive buffered Complex by Natura Bisse formulated with glycolic acid and other natural AHAs - Removes surface skin to lighten, brighten, and smooth complexion. Prickly pear extract - Activates enzymes to stimulate exfoliation process. Exfoliactyl mimetic peptide - Softens and smoothes skin. Beta lipoacid - Moisturizes and exfoliates the skin from within. I have only use this product once, but it seems to work well. It does burn at first, but subsides quickly. If it didn't burn, I would feel like it wasn't working.... Will review again after several uses. 1st peel with amazing effect, highly recommended~! Not as extreme as it sounds. I'm 30 and it helps my blackhead and makes the skin softer and smoother. My first and only peel I would use is Natura Bisse Extreme peel. It works and the result is more youthful skin. I am very happy with it and very worthy of its higher price tag. I love the tingling sensation after you put it on. It makes it feel like it's really working. I just tried this peel the other day and I am impressed. I didn't experience much irritation. My skin felt like satin after use and the clarity of my skin was also improved. The exfoliating properties of this product are good. This is a serious clinical strength product. Not for someone with sensitive skin. I'm used to high strength Retin A and this still gave me a tingle. If skin sensitivity is not an issue, this is a great product. I stopped using retinol 1.0 and 10% AHA a week before trying this sample. After trying this, it took a week before I could use retinol and AHA again. This is seriously potent, perhaps more than necessary for the benefits of glycolic acid, and overpriced. For $115, I get a 10% AHA moisturizer and close-to prescription strength retinol that are nowhere near as hostile to my skin as this product. It gets 2 stars, rather than 1, because I was using the retinol and AHA before trying this. Despite the week long break before using this, I'm giving it a benefit of a doubt. It's expensive, but trust me, with your first application you will notice a significant improvement in your skin. I used to break out at least once a week - 6 weeks without any major breakouts. This one is a keeper! very good productÃ¯Â¼ï¿½Helps my skin a lot.